The last two years have been pivotal in providing more fresh, healthy food for our partner agencies and our clients. In 2016 and 2017 the Greater Lansing Food Bank (GLFB) and its partner agencies delivered over 227,000 lbs. of fresh produce per month to their clients. These are shipments of apples, potatoes, watermelon, carrots and more. In addition to produce, our partner agencies share recipes and nutritional information that nudge clients in the direction of healthy eating. With each delivery of fresh produce, the GLFB provides step by step instructions on cleaning, preparing and serving produce that is both exotic and familiar. Not only have our clients benefitted from the growth of produce distributions, our corporate and agricultural donors have also found that donating to GLFB is a viable alternative to throwing away excess product that is safe to eat. Agricultural and corporate partners love the opportunity to help their local communities, family, and friends. Hunger affects all communities in our region, we all know somebody who is food insecure. Food Insecurity happens when someone does not know where his or her next meal will be coming from. Without these partner donors: farmers, fresh markets, and retail groceries, fresh produce would be inaccessible to our agencies and their clients. 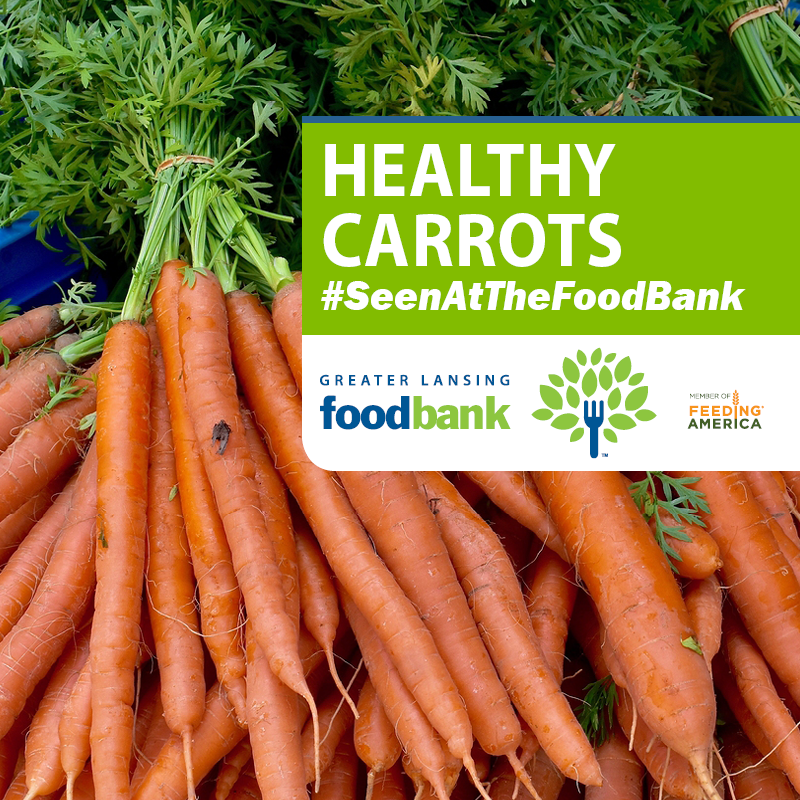 The mission of the Greater Lansing Food Bank is to: Partner to alleviate hunger one meal at a time, to create a future where everyone has access to nourishing food. The increase in produce distributions are another way GLFB is committed to serving the community. Todd Powell is GLFB’s Food Resources Manager. This entry was tagged #SeenAtTheFoodBank, Greater Lansing Food Bank, Mid-Michigan Charity. Bookmark the permalink.